Hi! I didn't see a thread for this on here, just thought I'd post this here in case some of you don't browse Eurobricks. Color is yellow (again) and the release is Fall 2016 as usual. Oh, a classic style guitar! Finally! I bet the Babysitter will come with the new baby figure, which is sweet. Banana Suit Guy is going to be an instant hit. What's an imp? Is that like a goblin? We just got a ♕ Queen. Next wave better have Ice ♔ King and Gunther. So we have an emo girl, and now we will get an emo boy? Ugh, seriously I have not even seen series 15 in the stores yet.. I really wish LEGO would stop the CMF line, or at least slow down the frequency of these, especially at 3.99 USD per pack. They can't come fast enough for me :-) They are kind of slowing down by interspersing with licensed series. Agreed, why should they slow down, I love them. This pretty much sums up my feelings exactly. I have a love/hate relationship with CMF. I really like collecting them, but feel the price is autrocios. I hate how much I spend on these things year after year. I took a break during Simpsons 1 & 2. I keep telling myself that I will do the same for Disney, but have a feeling that one will be much harder to stick to. Especially with a Disney loving three year old running around. Do they go on discount in the US? I'm not bothering with S15 until they are 50% off. Even the popular S14 have been easy to find at £1 each in UK. Not really. At least not my area. I will sometimes read about people finding them on clearance in the Shopping threads. In my area they never last long. Even the ones that seem to hang around longer (like Simpsons) still sell out well before the clearance card gets pulled. You can find them on clearance, but by then, the only ones thst are left are the ones nobody wants. I have gotten lucky and found about 11-12 from a Series, but then I have to try to buy/trade for the others and end up paying just as much as paying RRP. I think Lego has the distribution in the U.S. figured out. They not only sell out quickly but are NEVER seen at lower than MSRP of 3.99. Even when the Simpsons was discounted online they were sold out in stores. Rarely do they go on clearance - but the greater concern is how picked-over they are once they make it to clearance. I also grabbed a S14 case for the same price, and got the usual mix. Three sets a year is fine, especially if one line is licensed. For us the extra female minifigs help us populate scenes and players. The same with creatures. Then there are characters that simply fit into holiday scenes like animal costumes, spooky girl, elf, scarecrow, etc. I think 4 sets s year is too much, but with three and one licensed, it means that I have the chance of not wanting the licensed theme (like Simpsons). The other thing is that these sell. There is no reason for Lego to cut back. At my Target the first two boxes were gone in less that a week. A third box came out, but was basically empty. Then they hung some, and all the hooks were full, but they are now gone. Two more boxes came out, and they are 1/2 empty. My gosh... I haven't even found Series 15 in stores yet. LEGO needs to slow down. There might be some sale at times for these, but don't expect a deep discount on them unless particularly unpopular rejects hang around for a long time (possibly maybe sometime after the following series hits store shelves). Don't worry, this is the next regular series that won't be in stores until after the Disney minifigs this summer. Series 16 will be in the fall just before the start of the holiday shopping season (or during the start for those that like to shop early). Lego is going at the same pace as they have all along for these. Series 15 isn't even supposed to be out yet, the official release date is tomorrow, February 1st. Some collectors seem to have found them which I attribute to stores ignoring the "do not put on shelves" date that should be on the cases. In the US. Release date was 1 Jan in Europe. will there be something for me in this line ? If the Secret Agent is anything like James Bond, you should have the ultimate "gentleman." Hopefully the Snow Queen is a powerful sorceress, like Elsa. I'd say 2 of them (not on the list yet) might suit your needs. I'd like to see the Secret Agent guy with a trench coat and a new fedora hat. 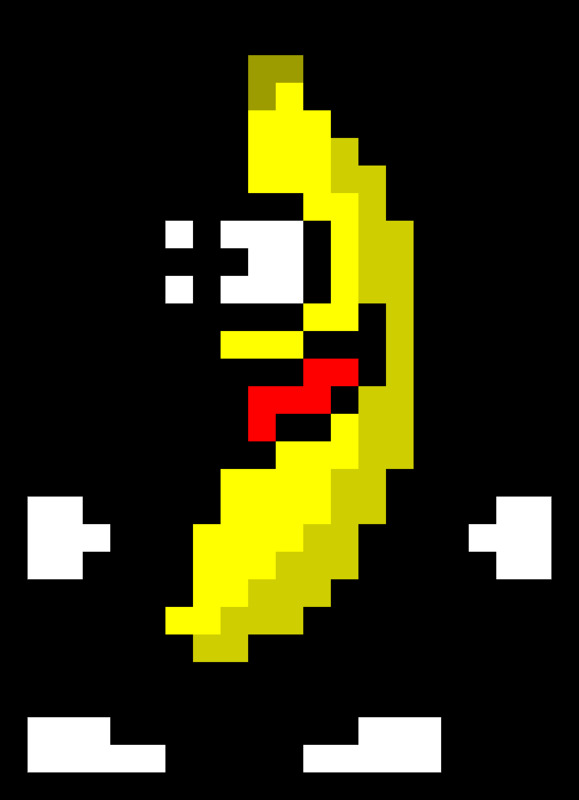 Banana Suit Guy - It's peanut butter jelly time! I believe it is a man dressed as a banana (like hot dog guy), quite different to Eric Wimp of 29 Acacia Road. Bwahahaha yes he's a classic one! New figure - Penguin Suit Person! May or may not be a girl. Two suits in a set? Has that happened before? Penguin suit and penguin animal, in the same series? Not buying it, but would be awesome! Wait, are you telling me the Hot Dog guy isn't actually an anthropomorphic, mutated human-sausage hybrid creature?!?! It's too hot for a penguin to just be walking around!!! If the Secret Agent is anything like James Bond, you should have the ultimate "gentleman." not sure I would call him gentleman. I thought it was a man being eaten alive (ironically) by a giant hot dog. Like the plant in s14. Did someone watch X-Files last night? @ricecake is that a Penguin Transformer in the bottom left? P.S. Penguins are my favorite animal too. The classiest bird in the joint. ^I'm more excited by the playmobil lady with a penguin stood on her head. If you overlook the homicide and misogynistic attitude, then sure! I am really curious about the babysitter, because it should contain another baby. What will it look like? The 'Indian Momma' from series 15 has one that is wrapped up. I kind of hope this one will just be a Lego kitten sized tiny figure wearing a diaper or something like that, lying on his/her back with its arms and legs sort of folded or upwards, and a hole in its back so you can attach it to a stud or have a regular minifig hold it in his/her arms. Whenever I read or hear the word 'imp' the first thing that comes to my mind is Tyrion Lannister. Banana suit guy should be fun. Other than that I am hoping for more knights, historical and mythological themed minifigs, as well as sci-fi figs in future series, as I am usually most interested in those myself. @ricecake no penguins of Madagascar? @ricecake I was looking for Opus from Bloom County. 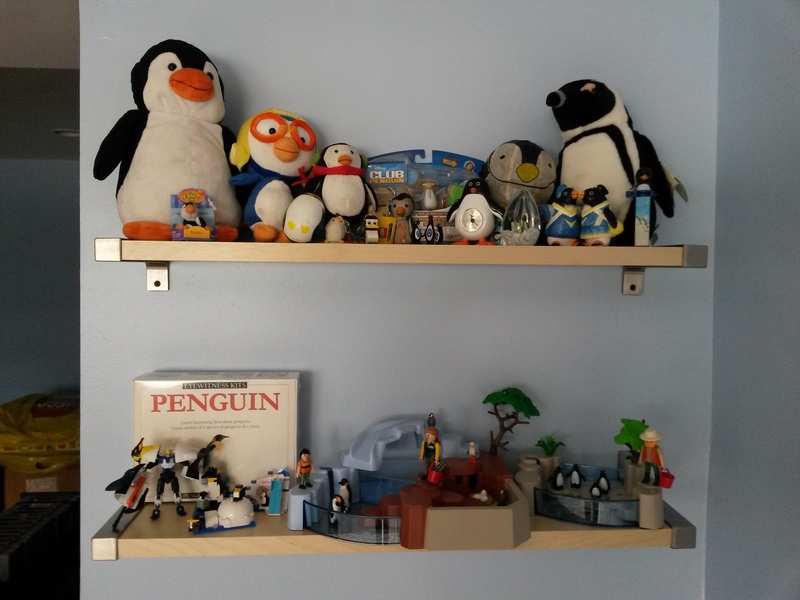 Nice penguin collection. I meant in terms of looks. 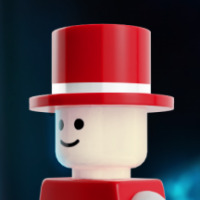 He described the gentleman-ly minifigs as wearing a nice suit. Bond always has a really nice suit.